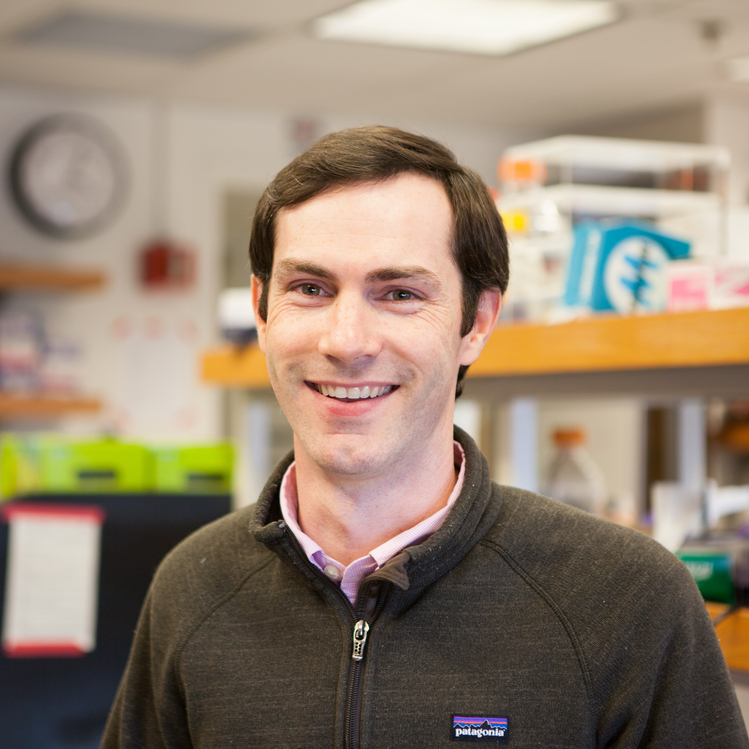 Neil joined the Institute for Protein Design as a Translational Investigator in early 2014. During his postdoc, he pioneered the development of general computational methods for designing self-assembling proteins with atomic-level accuracy. His group at the IPD is using and extending these methods to design functional protein nanomaterials for applications in targeted drug delivery and the design of next-generation vaccines. Proteins are Nature’s building block of choice for the construction of ‘molecular machines’: stable yet dynamic assemblies with unparalleled abilities in molecular recognition, catalysis, and responsiveness to changes in environment. Neil’s group is incorporating these features into the design of functional nanomaterials with the goal of creating new opportunities for the treatment of disease. Working with collaborators around the world, they are establishing a design-build-test cycle to use feedback from functional assays in vitro and in vivo to optimize the performance of the designed materials. Jörg Votteler, Cassandra Ogohara, Sue Yi, Yang Hsia, Una Nattermann, David M Belnap, Neil P King*, Wesley I Sundquist* (2016) Designed proteins induce the formation of nanocage-containing extracellular vesicles. Nature 540:292–295. *Corresponding authors. Sean W Phippen, Corey A Stevens, Tyler DR Vance, Neil P King, David Baker, Peter L Davies (2016) Multivalent display of antifreeze proteins by fusion to self-assembling protein cages enhances ice-binding activities. Biochemistry 55:6811–6820. Jacob B Bale, Shane Gonen, Yuxi Liu, William Sheffler, Daniel Ellis, Chantz Thomas, Duilio Cascio, Todd O Yeates, Tamir Gonen, Neil P King*, David Baker* (2016) Accurate design of megadalton-scale two-component icosahedral protein complexes. Science 353:389–394. *Corresponding authors. Yang Hsia, Jacob B Bale, Shane Gonen, Dan Shi, William Sheffler, Kimberly K Fong, Una Nattermann, Chunfu Xu, Po-Ssu Huang, Rashmi Ravichandran, Sue Yi, Trisha N Davis, Tamir Gonen, Neil P King, David Baker (2016) Design of a hyperstable 60-subunit protein icosahedron. Nature 535:136–139. Heinze Karsta, Eita Sasaki, Neil P King, David Baker, Don Hilvert, Gijs JL Wuite, Wouter H Roos (2016) Protein Nanocontainers from Nonviral Origin: Testing the Mechanics of Artificial and Natural Protein Cages by AFM. J. Phys. Chem. B 120:5945–5952. Jacob B Bale, Rachel U Park, Yuxi Liu, Shane Gonen, Tamir Gonen, Duilio Cascio, Neil P King, Todd O Yeates, David Baker (2015) Structure of a designed tetrahedral protein assembly variant engineered to have improved soluble expression. Protein Sci. 24:1695–1701. Neil P King, Jacob B Bale, William Sheffler, Dan E McNamara, Shane Gonen,Tamir Gonen, Todd O Yeates, David Baker (2014) Accurate design of co-assembling multi-component protein nanomaterials. Nature 510:103–108. Neil P King, Yen-Ting Lai (2013) Practical approaches to designing novel protein assemblies. Curr. Opin. Struct. Biol. 23:632–638. Yen-Ting Lai, Neil P King, Todd O Yeates (2012) Principles for designing ordered protein assemblies. Trends in Cell Biol. 22:653–661. Neil P King, William Sheffler, Michael R Sawaya, Breanna S Vollmar, John P Sumida, Ingemar André, Tamir Gonen, Todd O Yeates, David Baker (2012) Computational design of self-assembling protein nanomaterials with atomic level accuracy. Science 336:1171–1174. Toby C Sayre, Toni M Lee, Neil P King, Todd O Yeates (2011) Protein stabilization in a highly knotted protein polymer. Protein Eng. Des. Sel. 24:627–630. Neil P King, Alex W Jacobitz, Michael R Sawaya, Lukasz Goldschmidt, Todd O Yeates (2010) Structure and folding of a designed knotted protein. Proc. Natl. Acad. Sci. U.S.A. 107:20732–20737. Neil P King, Toni M Lee, Michael R Sawaya, Duilio Cascio, Todd O Yeates (2008) Structures and functional implications of an AMP-binding cystathionine beta-synthase domain protein from a hyperthermophilic archaeon. J. Mol. Biol. 380:181–192. Todd O Yeates, Todd S Norcross, Neil P King (2007) Knotted and topologically complex proteins as models for studying folding and stability. Curr. Opin. Chem. Biol. 11:595–603. Neil P King, Eric O Yeates, Todd O Yeates (2007) Identification of rare slipknots in proteins and their implications for stability and folding. J. Mol. Biol. 373:153–166.